You are responsible for your own agreement to be held accountable by someone else. It is crucial that you understand that this works in both directions. In any value exchange between two people, each is responsible for his own actions, and for agreeing that he can be held accountable by the other. Sadly, this is often misunderstood. In management 1.0 and management 2.0 organizations, “superiors” seek fulfillment of their own goals over the fulfillment of others, and they hold their “subordinates” accountable without acknowledging that they themselves should be held accountable for the well-being of the workers. Some call it the accountability trap. [Mayer, “The Accountability Trap”] This one-sided view of accountability leads down the path to compliance, compulsion, and complicacy and probably some complaints. You can escape this trap by not only ignoring the difference between the words (as we do in some European languages), but also by acknowledging that empowerment is a reflexive relationship between two equal partners. The word “management” is derived from the Italian word “manneggiare,” which means “taking care of horses.” I often compare teams and organizations—not people!—with horses, and I believe in mutually respectful relationships between horses and their caretakers. The caretaking of horses includes giving direction and setting boundaries. Quite often, when managers delegate work to teams, they don’t give them clear boundaries of authority [Vozza, “How to Set Healthy Boundaries in Your Workplace”]. By trial and error, teams need to find out what they can and cannot do usually incurring some emotional damage along the way. This was described by Donald Reinertsen as the “discovery of invisible electric fences,” [Reinertsen, Managing the Design Factory pag:107]. Repeatedly running into an electric fence is not only a waste of time and resources but it also kills motivation. And it ruins the coat of the horse. With no idea of what the invisible boundaries are around it, the horse will prefer to stand still or kick another in the head. Reinertsen suggests creating a list of key decision areas to address the problem of not setting boundaries. The list can include things like working hours, key technologies, product design, and team membership. A manager should make it perfectly clear what the team’s authority level is for each key decision area in this list. When the horse can actually see the fence, there will be less fear and pain. And the farther away the fence, the more the horse will enjoy its territory. It also works the other way around because of the reflexive relationship of responsibility and accountability. A team usually delegates work to management, such as rewards and remuneration, business partnerships, market strategy, and parking space. The horse is not required to simply accept any kind of boundaries, constraints, and abuse. Nature gave the horse strong teeth and hind legs for this very reason. There’s nothing that scares an inexperienced rider more than the loss of control over the horse. Indeed, a well-managed horse will heed the instructions of its rider, while at the same time the rider will understand the needs and desires of the horse. When we consider a manager and a team, is there an equivalent of the bridle and the reins? Delegation is not a binary thing; there are shades of grey between a dictator and an anarchist. Managers can hand over responsibilities to teams in a controlled and gradual way. The art of management is in finding the right balance. You want to delegate as much as possible in order to decrease bureaucracy and increase power. But if you go too far, self-organization might lead to an undesirable and costly outcome, maybe even chaos. How much you can delegate depends on the maturity of the team, the status of its work, and the impact of decisions on the organization. Delegation is context-dependent and reflexive. Teams are responsible for their agreement to be held accountable by their managers, and vice versa. Trust between the horse and the rider should always work both ways. Mayer, Tobias. 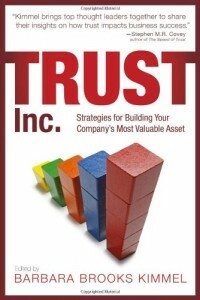 “The Accountability Trap” <http://bit.ly/YLhZsS> Business Craftsmanship, 20 December 2012. Web. Reinertsen, Donald G. Managing the Design Factory: A Product Developer’s Toolkit. New York: Free Press, 1997. Print.